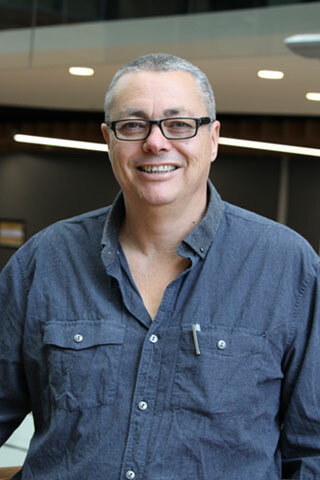 Professor of Indigenous Health Education at UTS, John Evans has extensive academic and industry experience in sports and exercise science, and Indigenous sport and education. While working at the University of Sydney, John helped established an Indigenous Research Collaboration (IRC) to support and guide research outcomes across a number of faculties at that university, a project he is still heavily involved with. The IRC’s goal is to raise the profile of Indigenous research and strengthen research activity and publication output in the area of Indigenous research. John has also helped develop a series of subjects that provide students with a pathway into Indigenous studies. John is an ARC Indigenous Research Fellow, holds a number of ARC competitive research grants and co-authored Advanced Rugby Coaching: An Holistic Approach, which sold out in Europe in the lead up to Rugby World Cup 2015. © The Editor(s) (if applicable) and The Author(s) 2018. This book presents journeys of sixteen Indigenous Australian athletes from their first touch of a 'footy' to the highest levels of Australian football and rugby league, conceptualized as a processof learning. The authors challenge simplistic explanations of Indigenous success in Australianfootball and rugby league, centered on the notion of the 'natural athlete'. The book tracesthe development of Indigenous sporting expertise as a lifelong process of learning situated inlocal culture and shaped by the challenges of transitioning into professional sport. Individually, the life stories told by the participants provide fascinating insights into experience, cultureand learning. Collectively, they provide deep understanding of the powerful influence thatAboriginal culture exerted on the participants' journeys to the top of their sports while locatingindividual experience and agency within larger economic, cultural and social considerations.Stories of Indigenous Success in Australian Sport will be of interest to students and scholarsacross a range of disciplines including Indigenous studies, physical education, education, sportmanagement and sociology. Evans, J., Orszag, M. & Piggott, J. 2008, Pension fund governance: A global perspective on financial regulation. This collection of essays on a rapidly developing topic is a valuable addition to the field and the editors must be congratulated on beginning to bring the area to the attention of thinkers and government (not necessarily the same thing), who are charged with dealing with the challenge of controlling private pension provision. - Robin Ellison, Pensions. © John Evans, Michael Orszag and John Piggott 2008. All rights reserved. © 2017 Informa UK Limited, trading as Taylor & Francis Group This article reports on a study that inquired into the journeys of sixteen Indigenous Australian athletes from their first touch of the footy to the Australian Football League (AFL) and National Rugby League (NRL) that identified two distinct stages of their journeys. These were: (1) the development of expertize and of a distinctly Aboriginal style of play from their first touch of a footy to around the age of thirteen and, (2) a process of cultural transitioning toward and into the AFL and NRL. This article takes an interdisciplinary approach to focus on the second stage of transitioning into the world of professional sport and sport as business. Identifying this as a process of cultural transitioning from local Aboriginal culture to the culture of professional sport provided insight into this transitioning process while illuminating the profound importance of culture in this process. It also helped identify the ways in which tensions between local approaches to 'footy' as play and cultural expression and professional sport as work, within the global culture of sport-as-business, were manifested in the challenges that the participants had to overcome. This article thus contributes to knowledge about Indigenous development of sporting expertize, of the specific challenges they face in transitioning into the global culture of commodified sport and how they succeed from a cultural perspective. © 2017 The Economic Society of Australia The world economy has been shown to be a complex adaptive system with the consequence that companies within the global economy are constantly needing to react to influences from the activities of other companies with which they are interconnected and external influences. This paper uses a methodology developed for complex adaptive systems to analyse the characteristics of multiple credit default events in the United States, Europe and Asia over the period 1990–2010 to establish the significance of factors driving credit defaults. The analysis indicates that factors controllable by companies are more significant in the United States and Europe than uncontrollable events, but the reverse occurs in Asia. © 2018 Montenegrin Sports Academy. All rights reserved. This article addresses the lack of attention paid to research on the development of Indigenous sporting expertise from a socio-cultural perspective. It inquires into the role that informal games played in the development of Australian Indigenous AFL and NRL players up to the age of thirteen. The study adopted a combined narrative inquiry and constructivist grounded theory methodology. The study highlighted to central role that informal games played in the development of expertise and a distinctive Aboriginal style of play shaped by Indigenous culture. This article suggests the central role that informal games shaped by Aboriginal culture played in the development of expertise and an Aboriginal style of play. It also suggests the need for coaching beyond Indigenous players to consider the use of games in training regimes. A renewed focus on Physical Education in New South Wales primary schools has the potential to act as an intervention that has positive long-term implications for the whole population. The introduction of physical education (PE) as part of the National Curriculum means the role of PE in Australian primary schools is now open for renewed attention. The rise of an international obesity epidemic means that that the role of PE in primary schools has the potential to make a positive impact on public health outcomes. There could be significant long term savings from well-organized PE programs in primary schools delivered by teaching staff educated in quality physical education. In addition there is also an historical and emerging body of research which links physical activity to academic performance. However not all teachers in primary schools have the skills or life experiences to effectively teach PE. In order to achieve these outcomes we posit that the use of a Game Centered Teaching approach and the use of an underlying pedagogy have the potential to provide more meaningful experiences for students and teachers. In order to implement a Game Centered Teaching approach we advocate the use of specialist PE teachers rather than outsourcing the delivery of PE in schools. © 2015, © The Author(s) 2015. The purpose of this paper is to assess the adequacy of the Australian retirement system to fund the needs of retirees by taking into account both the Knightian risk arising from market volatility under normal market conditions as well as the Knightian uncertainty arising from rare but severe market shocks. We have also taken into account changes in employment during the pre-retirement phase. Given the low frequency, high impact of market shocks, the result is that cohorts of Australian retirees will enjoy very different levels of retirement income and there will be consequent shocks to the demand for the Age Pension supplement and potentially, significant variations in the standard of living in retirement for Australian employees. Whilst the Australian retirement system has been put forward as a model for other economies to follow, we find there is a fundamental flaw in the system. © 2017 Incisive Risk Information (IP) Limited. We propose a methodology applied to complex systems to analyze operational risk events in banks, with the objective of determining an understanding of the key characteristics and their relationships in initiating operational risk losses. We applied our methodology to operational risk losses in Australian banks over the period 2010–14. The analysis identified that there are a small number of characteristics that are common to many operational risk events, and these 'level 1 characteristics are stable across time, which implies operational risk losses could be controlled by managing these characteristics. The methodology adds value to the existing analysis by identifying the main characteristics of operational risk events in a rigorous manner. © 2015 Taylor & Francis. This article reports on an ongoing study that investigates the development of expertise in rugby league and Australian football by Indigenous Australians as a socially and culturally situated process of learning. Focused on the sampling phase of the Development Model of Participation in Sport (6–12 years of age), it combines narrative inquiry and grounded theory methodologies to identify the important role that participation in a range of different sports and in informal games plays in the participants' development of expertise, as a process of socialisation. Introduction Process evaluations are conducted alongside research projects to identify the context, impact and consequences of research, determine whether it was conducted per protocol and to understand how, why and for whom an intervention is effective. We present a process evaluation protocol for the Getting it Right research project, which aims to determine validity of a culturally adapted depression screening tool for use by Aboriginal and Torres Strait Islander people. In this process evaluation, we aim to: (1) explore the context, impact and consequences of conducting Getting It Right, (2) explore primary healthcare staff and community representatives' experiences with the research project, (3) determine if it was conducted per protocol and (4) explore experiences with the depression screening tool, including perceptions about how it could be implemented into practice (if found to be valid). We also describe the partnerships established to conduct this process evaluation and how the national Values and Ethics: Guidelines for Ethical Conduct in Aboriginal and Torres Strait Islander Health Research is met. Methods and analysis Realist and grounded theory approaches are used. Qualitative data include semistructured interviews with primary healthcare staff and community representatives involved with Getting it Right. Iterative data collection and analysis will inform a coding framework. Interviews will continue until saturation of themes is reached, or all participants are considered. Data will be triangulated against administrative data and patient feedback. An Aboriginal and Torres Strait Islander Advisory Group guides this research. Researchers will be blinded from validation data outcomes for as long as is feasible. Understanding risks faced by firms and their reactions in response to those risks requires analysis of the ambiguities inherent in human behaviour. Yet, evidence from two case studies on investment and insurance professionals in the finance industry suggests that more focus on human capital may be prudent in reducing epistemic uncertainty particularly considering recent events in which the investing public has had a crisis of confidence in corporate leaders. It is particularly appropriate for regulators to provide a context in which market participants exercise due diligence by ensuring that human capital is enhanced by as much knowledge as possible where more human capital knowledge could reduce both risk in investments and insurance, ultimately challenging the sustainability of organisations during periods of epistemic uncertainty. This paper suggests that investment analysts, fund managers and insurance professionals lack the appropriate competencies, skills, knowledge and abilities required to meet the demands of the analysis of human capital in relation to understanding risk. Such competencies include disciplinary knowledge of sustainable human resource management (HRM) and organisational change systems and their links to corporate performance and risk mitigation. An alignment with HRM/HR that is equally focused on internal and external risk is of strategic importance for such professionals and their organisations in human capital risk mitigation. © 2014 Taylor & Francis. Traditionally, financial risk management has mainly focused on the types of risk that can be identified and measured. Many actuarial and statistical theories and models have been developed in the past, to quantify such risks. However, high-profile events such as Black Monday, the Asian financial crisis, 9/11 terrorist attacks, the Enron scandal, and more recently the global financial crisis, has repeatedly proven to the financial world that risks which matter to the stability of financial firms are often immeasurable and unidentifiable. Hence, simply focusing on the measurable risks is inadequate for a sound management of financial risks. In this paper, we develop a holistic framework to identify (if possible), measure (if possible), and manage the measurable, as well as the immeasurable, and the unidentifiable risks. We identify four realms of financial uncertainties and point out that each realm possesses a unique set of challenges to risk management. Moreover, we show that the tools needed to grapple each realm of uncertainty are fundamentally different, therefore stressing the importance of the need for awareness of these separate realms of uncertainty. The paper provides a discussion of methods available for assessing and managing each realm of uncertainty, and their limitations, by drawing from risk management techniques used in various fields of science and other industries. © The Author(s) 2012. Evans, J. & Sherris, M. 2011, 'The development of a life annuity market in Australia: An analysis of supplier risks and their mitigation', JASSA, no. 2, pp. 11-15. The significant accumulation of superannuation assets must be converted into income to finance the retirement needs of individuals. This paper considers the development of a life annuity market in Australia focusing on the risk management for potential suppliers of long-term guaranteed annuity products. It also examines the role of government in this market, particularly in hedging for the major risks involved. The purpose of this paper is to provide banking regulators with another tool to crosscheck the appropriateness and consistency of levels of capital adequacy for banks. The process begins by examining banking systems and focuses on market risks and the systemic risks associated with growing global economic integration and associated systemic interdependence. The model provides benchmarks for economic and regulatory capital for international banking systems using country, regional and global stock-market generated price index returns data. The benchmarks can then be translated to crosschecking capital levels for banks within those systems. For analytical purposes systems are assumed to possess a degree of informational efficiency and credit, liquidity and operational risks are held constant or at least assumed to be covered in loan loss provisions. An empirical study is included that demonstrates how market risk and systemic risk can be accounted for in a benchmark banking system performance model. Full testing of the model is left for future research. The paper merely proposes that such an approach is feasible and useful and it is in no way intended to be a replacement for the current Basel Accord. © Henry Stewart Publications. Using a simultaneous equation model initially developed by Shrieves and Dahl this article shows that Japanese banks in comparison to European banks, have focused on factors other than those that impact on bank safety levels. This has left Japanese banks in a vulnerable position with respect to levels of non-performing loans and indicates that less attention has been paid to prudent credit risk assessment and management practices. Recent events and actions initiated by the Japanese government suggests that Japanese banks are in crisis in terms of their dangerously large burden of non-performing loans. The broad objective of this study is to demonstrate that the attention of any healthy and safe banking system needs to be focused on operating and balance sheet fundamentals. Focus needs to be on maximization of earnings, determination of the appropriate level of financial risk, careful management of expenses and the optimisation of bank size in a deregulated, competitive environment where prudent lending criteria are applied. © Taylor and Francis Ltd. The Handbook of Research on Promoting Cross-Cultural Competence and Social Justice in Teacher Education elucidates the benefits, challenges, and strategies necessary to prepare teachers to meet the needs of a diverse student body. © 2017, IGI Global.This chapter examines the importance of culturally responsive relationships-focused pedagogical approaches in engaging Aboriginal students in their learning and the significance of this to improving their educational outcomes. Significantly, the themes and issues raised in this chapter reflect much of the international literature on Indigenous, minority and marginalised students. The following enablers are necessary when implementing culturally responsive relationships focused pedagogies: Engaging with Aboriginal families and community members; Harnessing Aboriginal students' backgrounds, lived experiences and interests as classroom resources; Implementing innovative place-based curriculum approaches, and Exploring holistic teacher professional learning opportunities. The combination of these factors creates quality learning environments as places of belonging and socio-cultural support underpinned by mobilising Aboriginal family and community social and cultural capital in the educational process. Once schools and teachers realise the potential of this approach, conditions are created to improve the academic, social and cultural outcomes of Aboriginal and Torres Strait Islander students. Introduction The use of habitus in the coaching literature has been helpful for understanding how experience shapes coaching practice but the use of it to generate and analyze data in empirical research is very limited (Hassanin and Light 2013) where it is used as 'an explanation of data rather than as a way of working with it' (Reay 2004: 440). With one exception (Light and Evans 2010) the use of habitus in the coaching literature has been limited to an explanatory role or layered over analysis rather than being operationalized (see, for example, Taylor and Garratt 2010). Evans, JR, Evans, RR, Regusci, CL & Rademacher, W 1999, 'Mode of action, metabolism, and uptake of BAS 125W, prohexadione-calcium', HortScience, pp. 1200-1201.